I couldn’t resist making another dinosaur Valentine card. Since The Good Dinosaur released in theatres my boys have been on a dino kick. 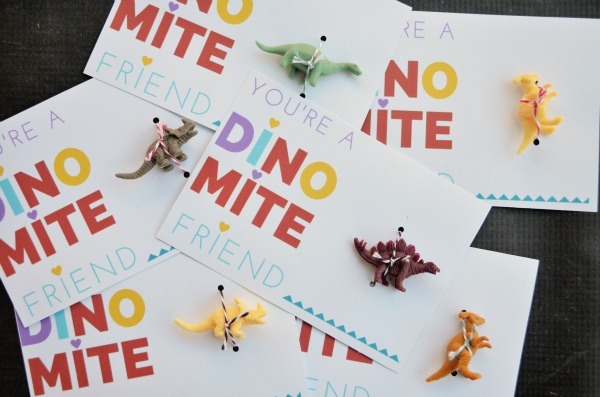 All you need to make these Valentines or dinoriffic party favors is the printable, twine, and plastic Dino figurines. 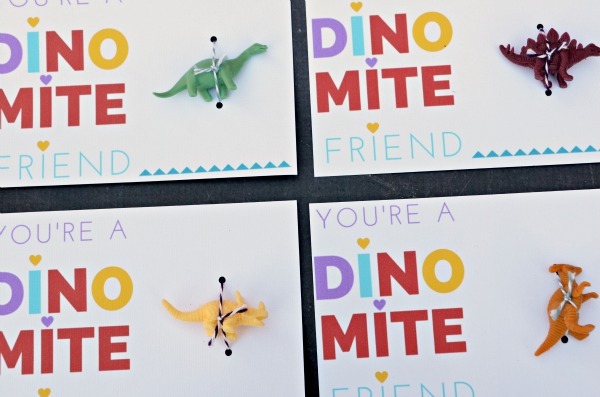 Print, cut, hole punch, and tie on the Dinos for an absolutely adorable Card for your kiddo’s dino-mite friends. 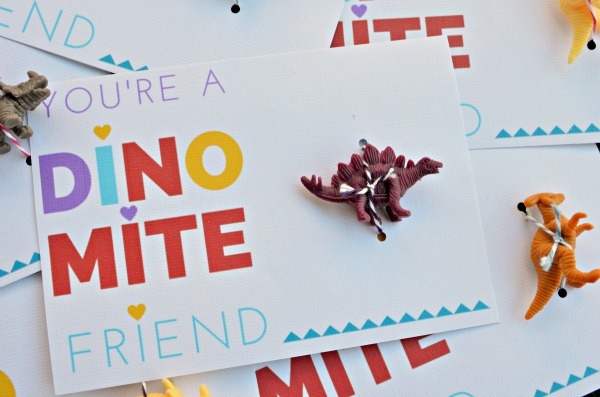 Would your kids like a dino-mite Valentine?